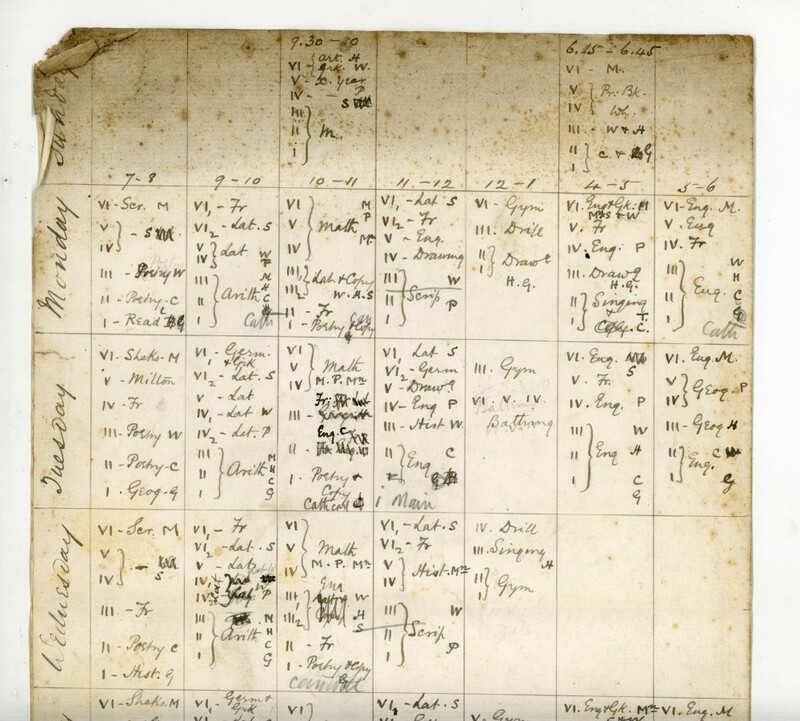 A handwritten timetable for the entire school’s week dating from the 1870s was found a few years ago inside an old bricked-up cupboard. It is worth nothing that the first lesson of the day started at 7.00am, before breakfast and chapel, although in the depths of winter this was moved to 8.00am. Also, there was no science teaching; this did not appear in anything but a very rudimentary form until later in the decade, and it was not until the 1920s that biology started being taught. Aside from English, Shakespeare, Milton and poetry all had individual lessons.